"I have had the pleasure of knowing and working with Barbara for nearly 30 years, and in a variety of different capacities. Her extraordinary talent, incredible adaptability, and consistent dedication have been an inspiration to me and to those around her. She adapts her presentations for different audiences in order to communicate well. Her gift of intelligence combined with her unusual creativity make her a natural teacher for peace. Her talents, clear mind, and experience add value and spirit to any organization, community, or project that she serves. " "Barbara is a connector of people and she has phenomenal strengths in facilitating activities, discussions, and contemplative experiences. She is one of the most intelligent, compassionate, and intentional women with whom I have had the privilege to work. Barbara has a true aptitude for leadership." "Barbara is a visionary. She channels creativity, endless energy, great organizational skills and a desire to improve things around her, working hard to turn visions into reality. I have always appreciated her attention to detail, and I am amazed to see how well she can juggle her time and energy to share her talents. Her warmth, integrity and thoroughness are an asset. During the time I have known Barbara, she has more than earned my utmost respect both as a passionately involved community leader and a warm, caring human being." Former International Baccalaureate (IB) Diploma Programme Coordinator/Mathematics Teacher, Redmond High School, Redmond, Oregon. 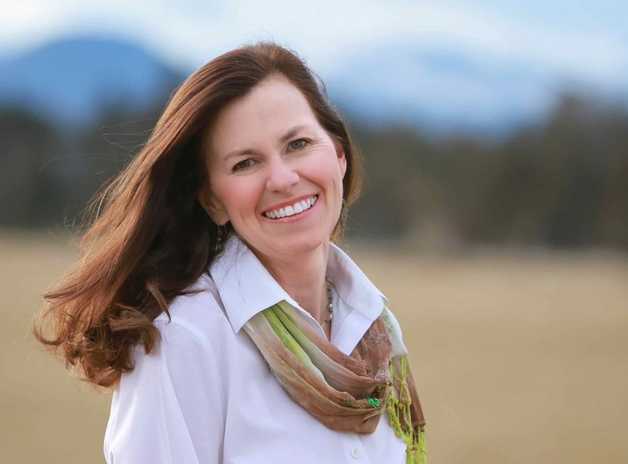 Denise currently teaches in the IB Diploma Programme at Bend Senior High School, Bend Oregon. "While working at the International Institute for Sustained Dialogue, I was introduced to Barbara as a potential consultant on a national, college retreat program I was building. The retreat focused on dialogue, diversity/inclusion, empathy, and mindfulness. I engaged Barbara’s services to design curriculum both introducing retreat participants to mindfulness work and supporting the development of their own practices. Barbara evinced a passion for this field from our earliest conversations - passion not only for contemplative practices generally, but also for practices tailored specifically to our audience of motivated college students. From day one, she sought to understand our underlying goals and strategies to better situate the mindfulness curriculum within the greater context of the retreat. The work she produced exceeded expectations - incorporating “practical” mindfulness skills for college life and skills for self-exploration and self-awareness as young adults. She developed original, tailored curriculum - a rarity in this field. Barbara offers a unique perspective in what is often a sea of sameness. I am grateful to have had the opportunity to leverage Barbara’s talents for the benefit of our students’ practices of self-inquiry, mindful interactions, and the start of a journey of profound growth." - Christopher Scoville, Former Director PULSE Institute & Retreat at the Sustained Dialogue Campus Network, Washington, DC. Christopher currently serves as a non profit organization management consultant. "I have worked with Barbara on many occasions. She radiates a deep value for spiritual deepening and transformation in herself and others. Barbara maintains a view of the big picture while also being able to track the particular needs of any situation as they arise. I recommend her highly and without reservation." - Randi Ameya Specterman, Ph. D.